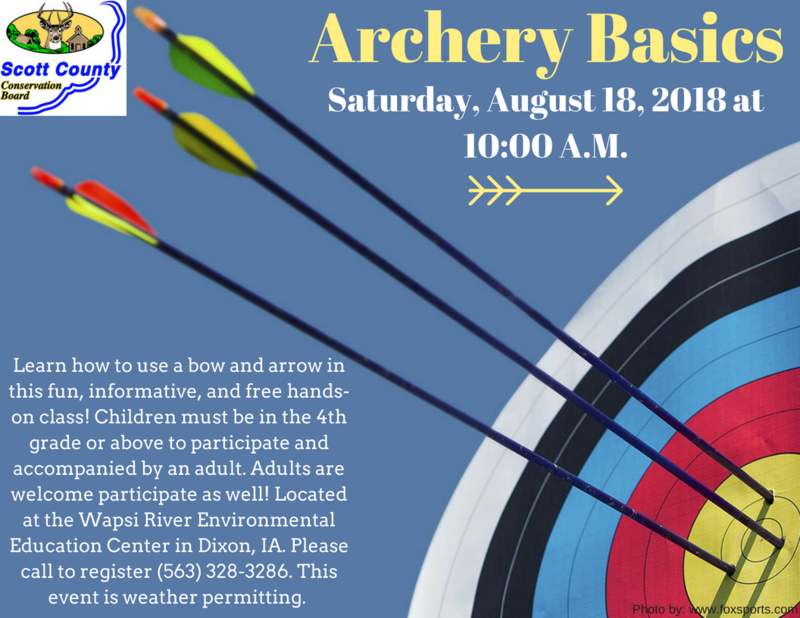 Learn how to use a bow and arrow in this fun and informative hands-on class! Children must be in the 4th grade or above to participate and accompanied by an adult. Adults are welcome to participate as well! This is a weather permitting event.